A Dynamic and creative class, to help you tap into your inner animal. Funky Monkey is a class to let go, express yourself and discover new ways to move your body. We will work with a combination of improvisation, animal movement patterns and simple choreographed phrases to gain a deeper understanding and increased ability of the moving body, whilst also focusing on personal and creative growth for developing deeper body intelligence. Hugh is a Freelance Dance artist specializing Contact Improvisation and Contemporary Dance. He trained at Northern School of Contemporary Dance and has worked as a performer and teacher for over 10 years. 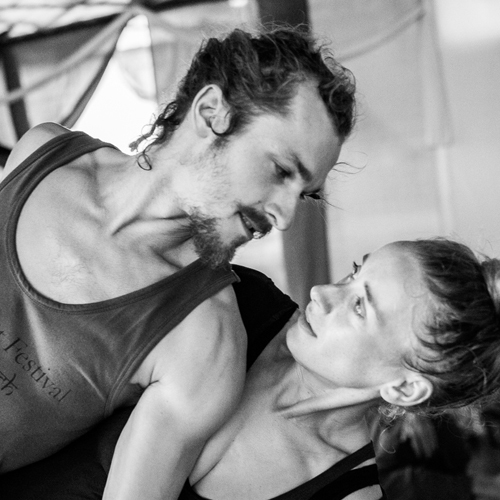 Throughout the past few years he has been training in different movement disciplines- from Contact Improvisation and Yoga, to Circus and Tai Chi – to gain a deeper understanding of the body and the power of moving with presence and awareness. He teaches with a variety of different approaches to all ages and abilities, with a focus on creating an inclusive and open environment in which participants can feel free and able to discover new ways of moving. A space of ‘serious play time’!